The important and substantial “12 Years a Slave” won 3 Academy Awards including Best Picture in addition to Best Adapted Screenplay and Best Supporting Actress Lupita Nyong’o while the head-spinning cinematic marvel “Gravity” won 7 including Alfonso Cuaron for Best director. Several times during the Oscar-cast, it was brought up “12 Years a Slave” wouldn’t have won without Brad Pitt’s producing clout yet it’s never brought up the richest written scene in the film is Chiwetel Ejiofor’s pouring out his story of stolen history to Pitt. The whole victory is deserving, but I do think it is forward progress that a masterpiece visual extravaganza like “Gravity” can win Best Director. 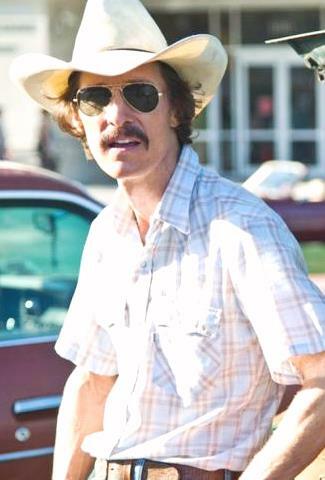 “Dallas Buyers Club” wins 3 including Best Actor Matthew McConaughey, Best Supporting Actor Jared Leto and Best Makeup, a surprise that many didn’t think it would spearhead wins when it came out in early November. McConaughey and Leto disappeared into their characters, and McConaughey in particular is quintessential Method with his performance. He’s so gaunt you feel the disease of his character ate him up and spit out an imitation of the McConaughey we thought we knew. On the downside, Chiwetel Ejiofor and the unsinkable intelligence he brought to an impassioned character had to be passed over. Ignoring the acting for “12 Years” must have been unfathomable for Oscar voters if they were already casting it as Best Picture, so it was not Ejiofor but Nyong’o they wanted to represent the film for acting. “American Hustle” won nothing, by the way, going 0-for-10 when it was a forefront favorite back in December. Isn’t the shock of the evening the fact that the David O. Russell film went home empty-handed? I’m trying to wonder at one point did the film begin to fizzle for awards voters, or was it always a second favorite across the board in every category? I really thought it would win Best Original Screenplay at the least, but it went to the far-out most original screenplay “Her,” honestly worthy it was. But “Hustle” had the most dizzying, rat-a-tat dialogue and a tapestry of characters to juggle. The Best Actress of the year was Cate Blanchett for “Blue Jasmine” and in this case, it was the best performance period. It’s one of the ten best performances by an actress I’ve ever seen. Her verge on a nervous breakdown character, written by Woody Allen at his most peerless best with creating complex characters, is so extraordinary that it should have simply been awarded in its own special class. Since Amy Adams (“American Hustle”) and Sandra Bullock (“Gravity”) would be worthy in any other given year, it’s not right to call them non-winners. They deserve their entrance into the achievement hallmark, too. I insist you appreciate all three of them. If you love film, you’ve definitely seen all three and considered all three actresses’ artistic choices. Now some conventional news. “Frozen,” the highest grossing Disney film of all time, was destined to win two for its two nominations. And so it did, for Best Animated Film and Best Original Song “Let it Go.” Can you imagine kids swearing off the Oscars if “Frozen” had lost? Only the pretentious would not admit they enjoyed at least looking at the extravagant, and ostentatious “The Great Gatsby” which won Best Production Design and Best Costume Design. The florid visuals were too flamboyantly berserk for “Gatsby” not to win. Otherwise, I believed “Gravity” could not be stopped. Except at the Best Picture award. The sincerity of the treatment towards American slavery as depicted in “12 Years a Slave” could not be ignored. And “12 Years” director Steve McQueen, an amazing talent, I believe will win another year. “Hunger” and “Shame” were no flukes, and “12 Years” will no way cap his potential and versatility. “Possibility #1 is 12 Years a Slave wins Best Picture. Possibility #2 is you are all racist,” quipped Oscar host Ellen DeGeneres, her best joke. It was also a premonition at the beginning of the night that was inevitable.